1. New Batteries were purchased from a retailer to make sure they were fresh and had full battery capacity. 2. This test is not to compare batteries for normal operation, they are designed for very low current draw and these tests are for high current draw. 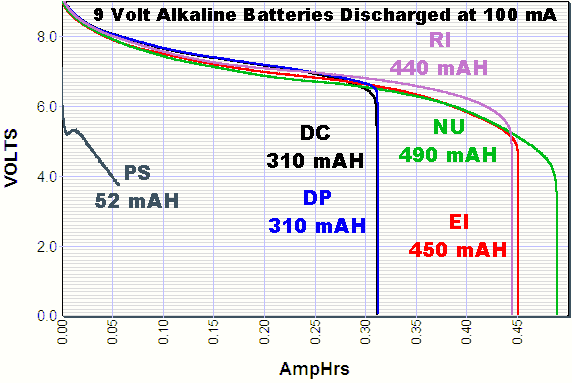 This information is to help design engineers know what to expect when the batteries are used under these circumstances. 3. The performance rankings may be different for low current applications. 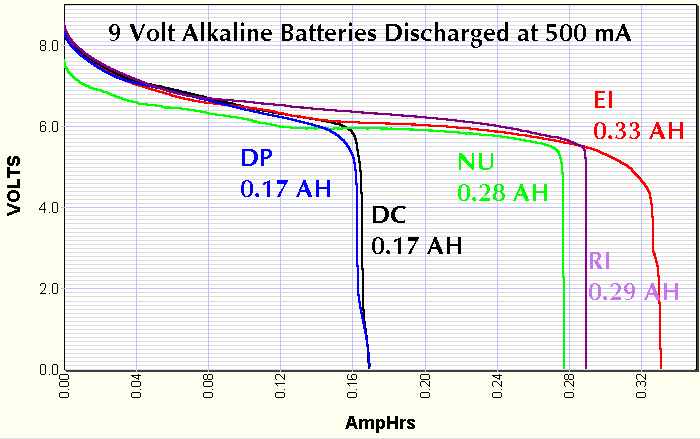 Here are the discharge curves at 100 mA. I have thrown in a Panasonic Super Heavy Duty carbon-zinc battery, it obviously was never meant to be discharged at 100 mA. The first thing to realize is that 9 volt batteries were never designed to operate at 500 mA. This test was for a special project. However, it is evident that some 9 volt batteries are better than others at this high current. 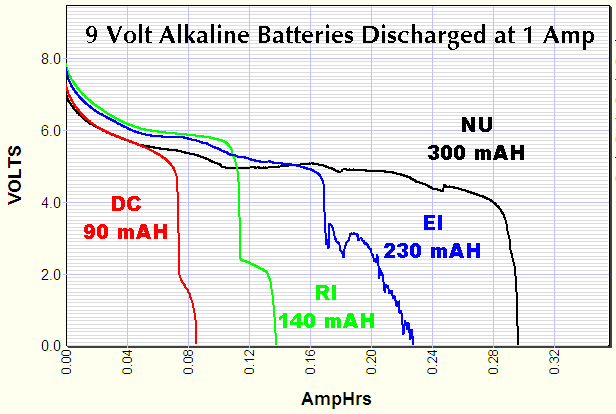 Again, these curves are really ugly, since 1 amp is a lot for these transistor radio style batteries. It looks like the EI battery started to loose the connections between cells at the high temperature. The hump in the red and green curves is where one or more of the cells emptys first.